We don’t often think of a home’s roof as a design element, but it is. Making up a large percentage of your home’s view from the street, every roof has an impact on the impression, curb appeal, and beauty of your abode. 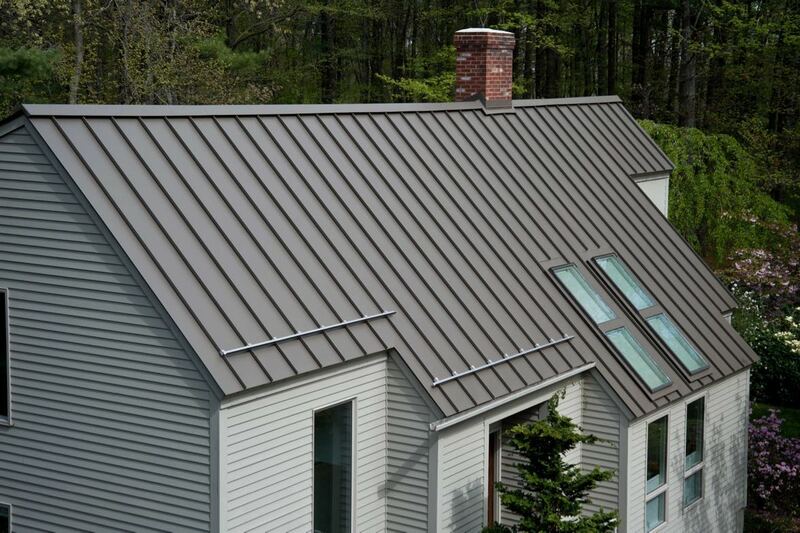 When considering what type of roof to install on your new or existing home, many people look at standing seam roofing, commonly called “barn roofing” for far more than agricultural and rural buildings. What is standing seam roofing? Long seams of vertical metal roofing extending the length of each roof line. 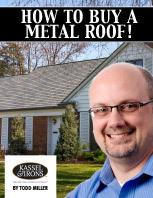 At Kassel & Irons, we offer that traditional style of roofing, in addition to our beautiful, metal shingle styles. You will find a plethora of standing seam roofing providers, and we want to encourage you to look beyond the first sources that come to mind and consider our un-typical standing seam products. Beautiful homes start with beautiful designs. Whether you’re building from the ground up, or redesigning and re-imaging your existing home, consider the impact of the roof on the whole of your project. The modern aesthetic for long roof lines and contemporary style, a quality, Universal standing seam metal roof can be a very positive design element. Not just ornamental, this roofing as an integral part of a home’s architecture provides maintenance-free durability for a lifetime. Who knew that you could warrant beauty? With our Universal standing seam, you can. All of our roofing products maintain a clean appearance, with minimal upkeep. And we all know that clean is always a good design element! You can explore our color selections here, and of course, browse through our other unique, metal roofing products. And please, don’t hesitate to ask a roofing design question. We have a team of over 30 people (at your service) with the experience and knowledge to help you find the right roofing solution for your home.